I have to say, I prefer the original. 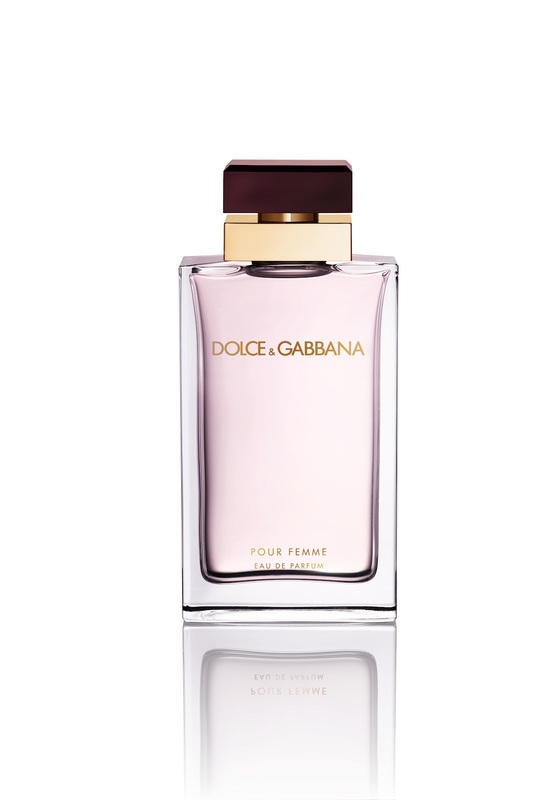 Dolce & Gabbana’s Pour Femme will always have a special place in my heart as it reminds me of lighter, funner times – smelling of deep sensuality, red silk velvet and sexual promise….Golly, how it takes me back when I sniff it. It seemed so very different to most of the asinine fragrances released back then (1992). Wearing it was a statement of difference. Of modernity. Of change. And, of alignment to the label that breathed ‘La Dolce Vita’. Fast forward to 2012 and Stefano Gabbana said of their new fragrance update, released 22nd July exclusively to Harrods, “It’s not so much a re-edition as it is a fine-tuning. We altered the bottles a bit.…There has been an evolution [of the brand] since the Nineties, Domenico and I were much younger then — we’ve really matured a lot.” And to reflect this, the fragrance has changed and to my mind quite significantly. To begin with, there’s more fruit and less headiness and largess of jasmine, carnation, orange blossom and the deep mellow sexiness of sandalwood, musks and vanilla. Oh, the hit is still there for sure but it’s less like being slapped by a red velvet glove and more like a brief touch with plum coloured (less indulgent, cheaper variety) satin. It’s to do with the raspberry which has been added, no doubt to appeal to a younger audience crazy about sweetness and fruitiness, but it masks what influence the neroli, jasmine and orange blossom can do. It seems tamed and subdued. And, I never thought a Dolce & Gabbana woman could be tamed as she’s famed for her fire, Sicilian type tantrums and overpowering sexuality. Dolce & Gabbana’s new Femme will appeal to many as ITV’s T.O.WI.E confoundedly appeals to the mass market – but if we’re talking of class, of creed, of chutzpah and fire in the belly, there’s very little similarity to the original. They broke the mould with that one. Tastes change sadly, often not for the best. I shall be saving my original version and using sparingly. The advertising behind this new phase perfume is shot by by the Maestro, Mario Testino, in Sicily with models Laetitia Casta (Pour Femme) and Noah Mills (Pour Homme). Dolce & Gabbana’s Pour Femme & Homme are currently available exclusively at Harrods priced at £38 (25ml), £54 (50ml) and £69 (100ml) and from 22nd August at Dolce & Gabbana boutiques and and licensed perfume stores. It’s funny but I’ve never liked the original! 2 days ago I saw the new one, with the “pour femme” writing on the box end tested it without hoping anything. It turned out I absolutely love it. In Romania both versions are sold under different names. 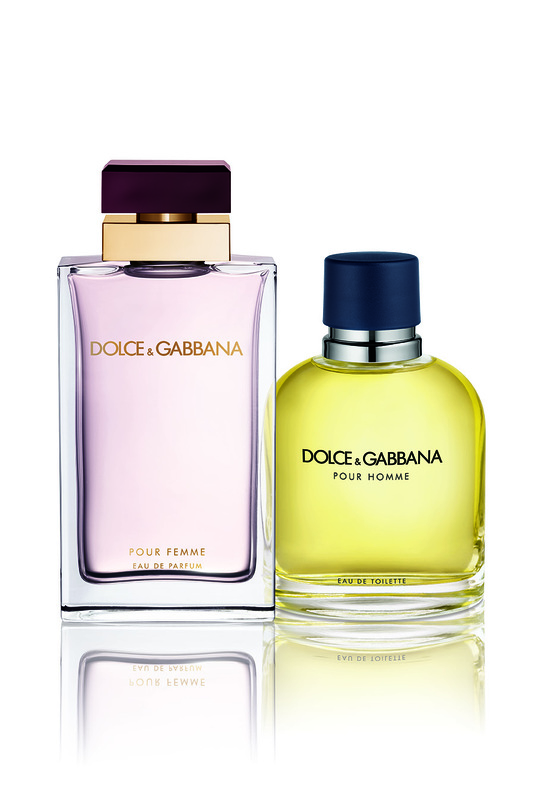 D&G for the original and D&G Pour Femme(2012) – the new one. I find the 2012 version much better, but then, I’m a white flowers and gourmand lover. The original version smells rather sour and heavy. For me, the change made was a fortunate one.